The Dance Studio at The Arena has a great open space with mirrors and a great sound system to create the perfect atmosphere for learning to dance, working on fitness or just having fun with friends. A whole host of classes are tailored for every age and every style. These include Ballet, Jazz, Ballroom, Pilates, Zumba, Bokwa, Fitness, Aerial hoop, Circus and Off Skate classes to name a few. We have a fantastic team of teachers who include long time veterans of the incredible shows at Pleasure Beach. They are renowned specialists in their field with experience ranging from the Royal Ballet to performing on TV and the world of entertainment. These classes are unique outside the London area. Lectures by top entertainment directors and a whole host of workshops will be brought to the Arena Dance Studio as well as events such as Showzam, which had an amazing response last year. Showzam events include dancing, acting, magic, skating, face painting, photography and creative classes. Everyone has a great time in a vast selection of creative activities available all year round. Additionally, the Dance Studio is available for private parties so if you’re looking for something different then why not try our Pop Party workout Birthday Party. Whether you are 5 or 95 your dance party can go with a swing. Training people has always been a passion of Managing Director and President of Stageworks Worldwide Productions Amanda Thompson OBE as she shares a love of theatre and the skills and talents of performers. Fantastic classes are available from Stageworks Worldwide Productions who are the entertainment division of Blackpool Pleasure Beach. 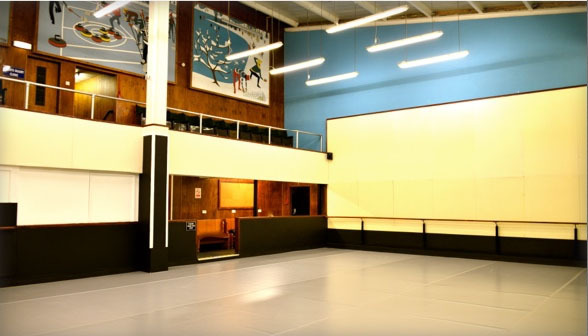 The Pleasure Beach Arena is proud to boast an excellent dance studio facility available for private hire. Also located at the Pleasure Beach Arena you will find a Café & Bar area which has everything you need to relax from freshly served Starbucks coffee to a cold glass of beer or champagne. You can also buy freshly made sandwiches and burgers served with fries as well as cold drinks and snacks. Free Wifi is also available throughout the venue. The professional dance studio in the arena available from 7am until 9pm on weekdays and from 7am until 7pm on weekends and can accommodate up to 40 people for rehearsals or auditions. 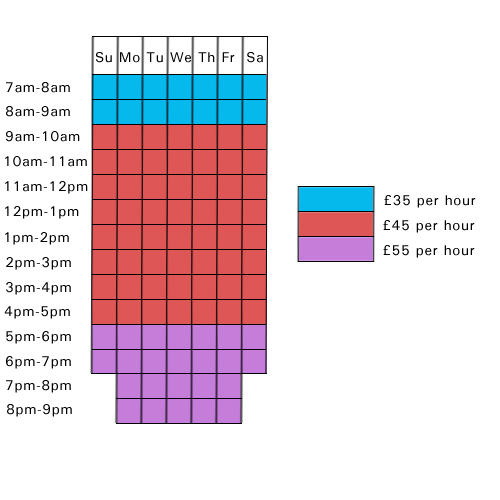 Prices are based on an hourly basis, please see table below. The Arena Dance Studio is also available to hire at a daily rate. Please call the Arena on 01253 341707 for more information. The Arena studio also has a viewing gallery for spectators to watch the rehearsals and auditions. With ladies and gents toilets in the studio as well. Once this is completed, a member of staff will be in contact with you shortly after to complete the booking process. Bookings must be made at least 12 hours prior and is to be paid in full at the time of booking. Confirmation of your booking will be given once payments have been accepted. 1. Bookings may be made up to 6 months in advance. 2. Bookings cancelled within 4 months are subject to a full refund. 3. Bookings cancelled within 2 months will be subject to a 20% charge. 4. Bookings cancelled within 1 week are subject to a 50% charge. 5. All other bookings will be subject to 100% charge. 6. The Arena studio must be entered and exited by the main Arena entrance and at the specific times allocated to the client. 7. No filming or photography of any sort may occur in or around the facility without a signed document from management. 8. All attendee and personnel must sign in at the Arena front desk/ reception area before going through to the studio. 9. The studio must be left clean and tidy once you have finished. 10. Payments may be made by debit or credit card, BACS payments are also accepted. 11. Cash payments are accepted at the Arena box office or at the main Ticket Centre at Blackpool Pleasure Beach. 12. Note no booking may be confirmed until full payment has been received. Please note the above fees do not cover people privately renting the studio to teach. The teaching situation remains the same, that there is a concession contract and all people attending class go through the box office. ** £9.00 per class for Aerial Hoop, Ballet.